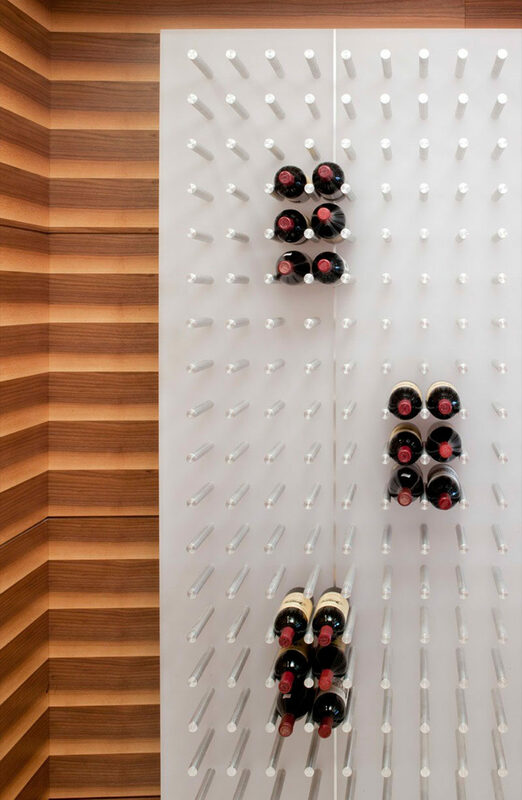 Storing wine in a place where people can see it turns your wine into more than just a beverage. It makes the artistic labels and smooth shapes of the bottles become pieces of art and lets you appreciate your wine more than you would if it were stored somewhere out of sight. 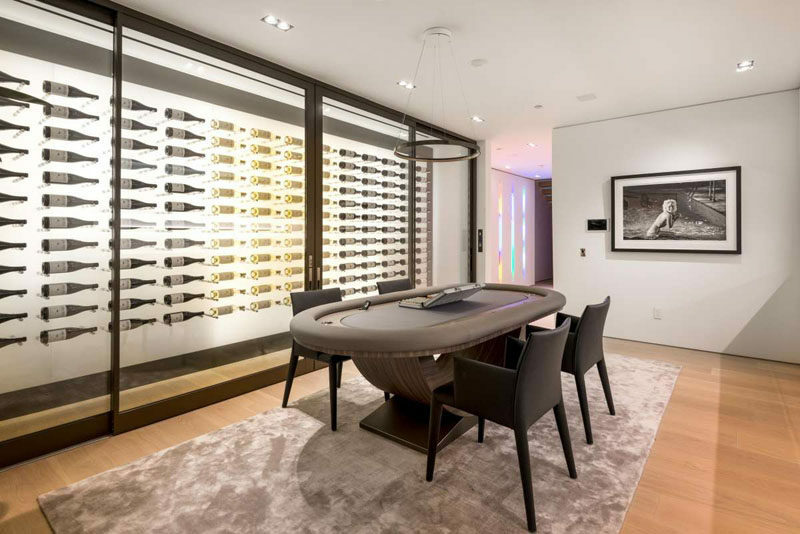 Here are 10 inspirational examples of wall mounted displays that put your wine front and center. 1. This custom made wine display holds the bottles in fabric slings that gently cradle them but keep them high enough that the labels and bottle shapes can still be seen. See more photos of this house, here. Designed by Bates Masi Architects. Photography by Michael Moran. 2. 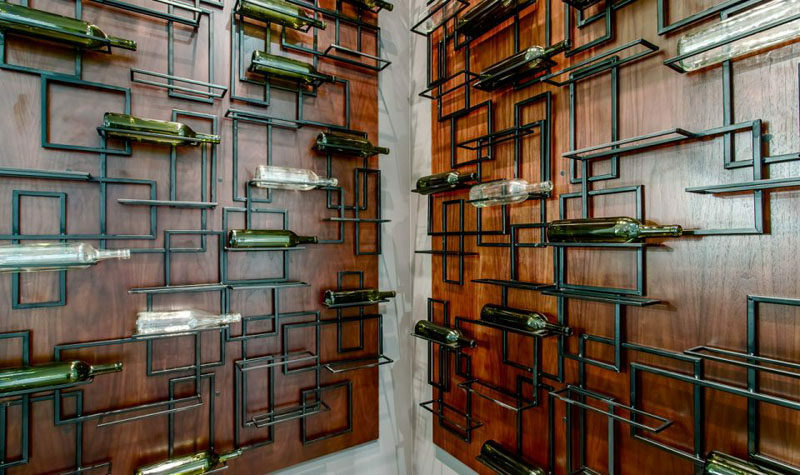 Artistic shelves line these walls and perfectly hold wine bottles on display for all to see. See more photos of this house, here. Designed by MSP Design Development. 3. 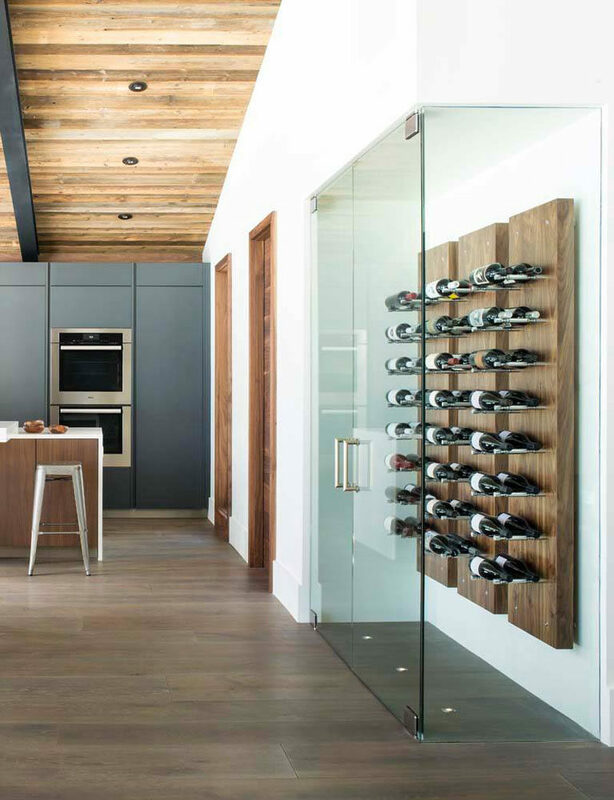 Floor to ceiling wine racks show off the bottles and make them part of the art in the home. See more photos of this house, here. 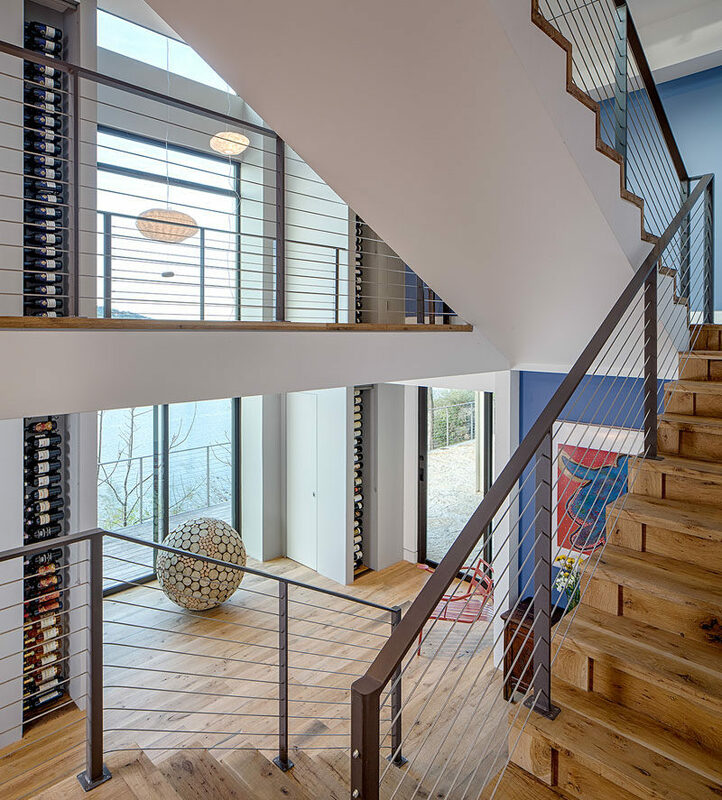 Designed by Specht Architects and Louise Harpman. 4. Up to 600 wine bottles can be stored in this backlit wine display that opens with a thumbprint. See more photos of this house, here. Designed by MGS Architecture. Photography by Matthew Momberger. 5. 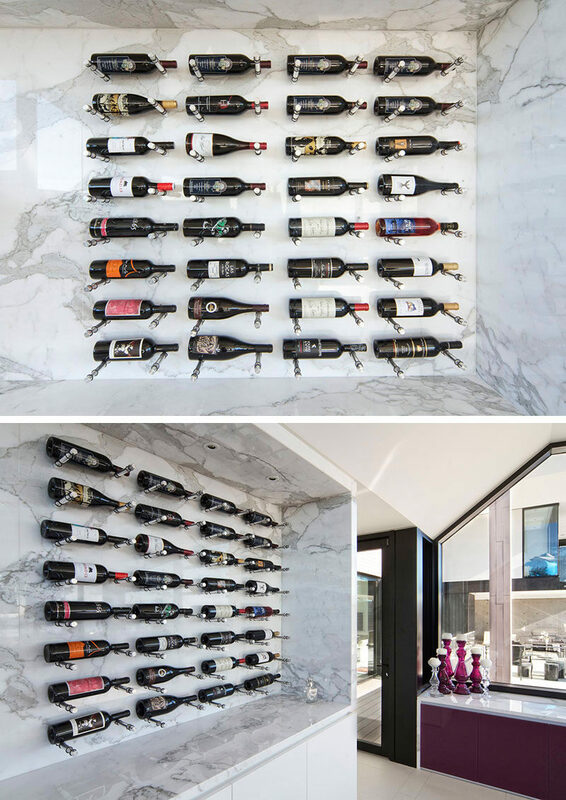 The colorful labels and different shapes of the bottles stand out against the white marble of this display wall. Inspiration from Vin de garde. 6. 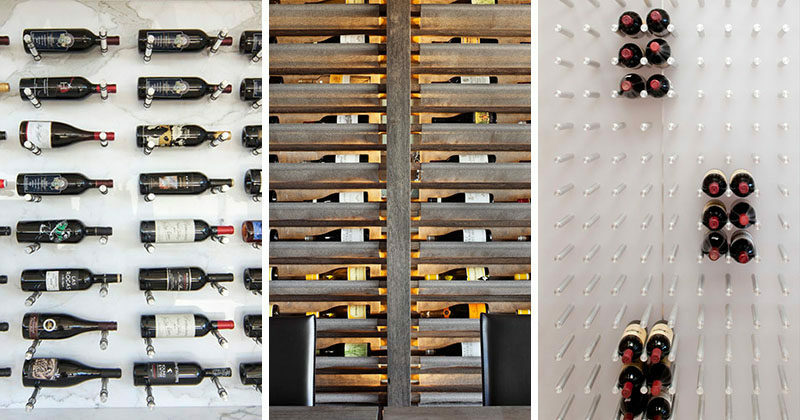 The pegs on this wall can support hundred of bottles of wine for a packed look or just hold a few for a more open and floating look. Designed by Robert Gurney Architect. Photography by Maxwell MacKenzie. 7. The steel pegs contrast the wood panels and are long enough to fit two bottles of wine on pair of pegs. Wine display by Vail Custom. Photography by Kimberly Gavin Photography. 8. 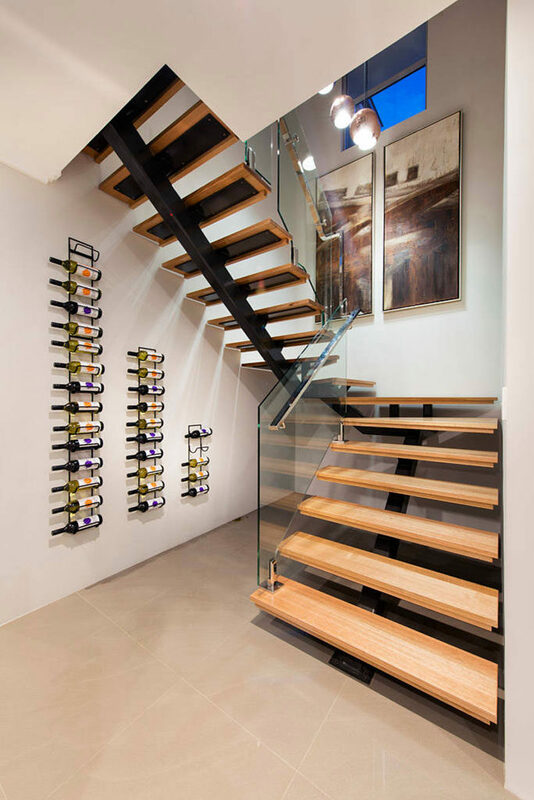 The staggered heights of these three wine racks follow the line of the staircase and create a simple display for all the wine bottles. Designed by Ben Trager Homes. Photography by D-Max Photography. 9. This wine display under the stairs holds a lot of bottles and is lit up from the bottom to put emphasis on the shapes of the bottles and the styles of the labels. Designed by Brandon Architects. Photography by Jeri Koegel. 10. This large wall mounted display in black lets the colors of the labels really stand out and eliminates the need for a statement art piece. Designed by Foster Design Build.